We are so happy for our colleague Yessenia Blanco! 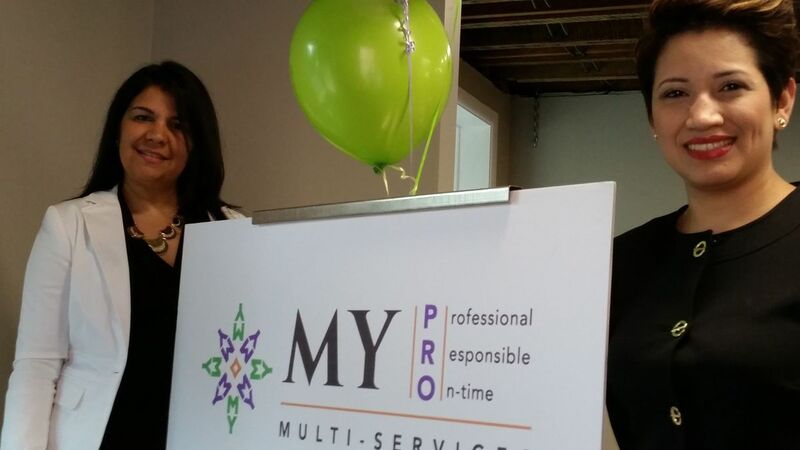 MY PRO Multi-Services opened its doors on Friday. To view the original post by Tim Mekeel on LNP, click here. Two long-time friends have opened MY PRO Multi-Services, a provider of diverse services to consumers and small businesses. Business partners Milady Perez and Yessenia Blanco said the services include bookkeeping, notary services, payroll, tax preparation, immigration forms and language translations and interpretations. The business, based at 312 E. Walnut St., opened Friday. Perez and Blanco are its sole employees but they hope to add staff as awareness of the business and its services spreads. Perez, a Lancaster city resident, and Blanco, a Manheim Township resident, met in 2008 while attending the Consolidated School of Business. Blanco works part-time as a training associate at Assets Lancaster. Perez formerly was an accounting assistant for 10 years at a small, local accounting firm.